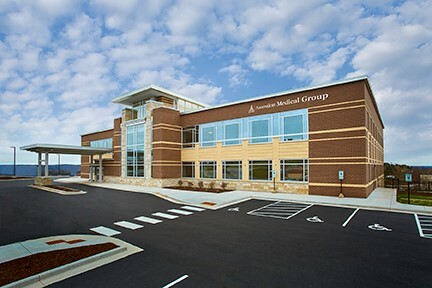 Ascension Medical Group at Westwood Now Open! A ribbon cutting ceremony was held on Tuesday, January 31st for the new 48,000 square foot, three-story building located at 1901 Westwood Center Blvd in Wausau, Wisconsin. MedCraft partnered with Ministry Health/Ascension in the development of the new “hub” clinic to provide primary and specialty care services in a highly visible and accessible location. MedCraft formed an integrated multi-disciplinary planning team, including health system leadership, physicians, staff, architects FreemanWhite and general contractor Ghidorzi Construction Co., in the development of the new facility. The team worked together to plan and design the new facility to meet health system goals and provide collaborative patient care in a beautiful new facility and ensure a positive patient experience.